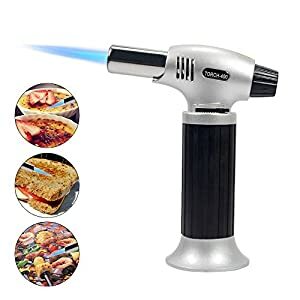 Amazing Versatile Cooking Blow Torch! Lifetime Guarantee! 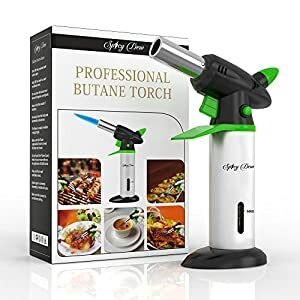 It’s more than caramelizes sugars, creme Brulee, culinary torch also apply in browns meringues, barbecue, skins tomatoes, melts cheese on gratins, roasts pepper, Cigar ect. Let your creativity guide you! 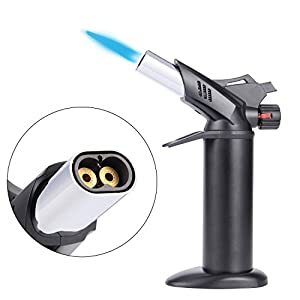 It’s totally safe to use, extended angled nozzle keeps your hand safely away from the flame and allows for easy and precise maneuvering; Anti-Flare technology and safety lock design allows for you to operate the torch Worry-Free. 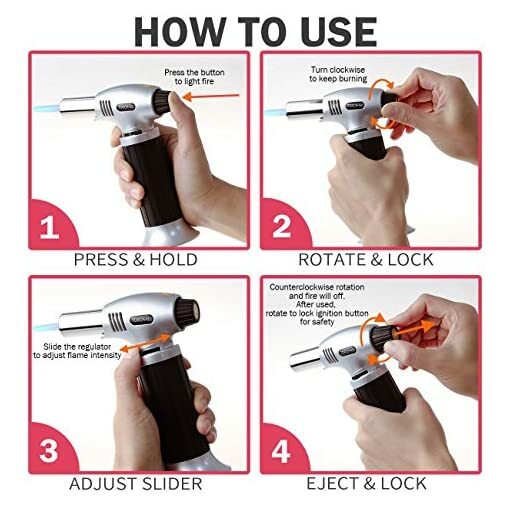 – Please have a rest when continuously burn after 5 minutes. 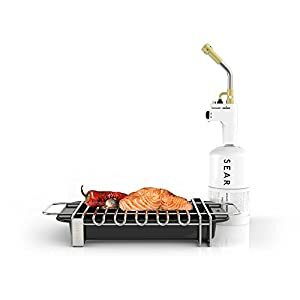 – Keep out of reach of children, face of other people, yourself and inflammable articles while using. – Avoid direct sunshine for long hours or place it at the place over 50 Celsius degrees. -Turn the Fire Ignition toward “CLOSE” when you are not using it. 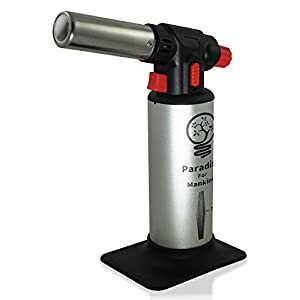 Gas-refilled: please insert the Butane Gas Refill bottle vertically to the blow torch bottom as shows in picture , wait for 6 secs once and then pull out, 3 times operation will fully refill blow torch, wait for minutes then blow the fire. 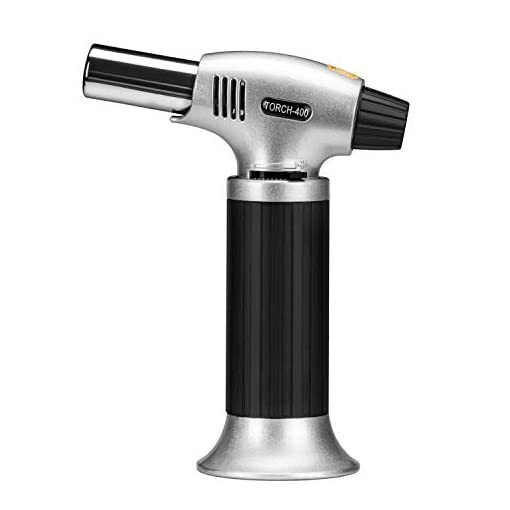 Light up and extinguish: turn fire ignition button to “OPEN”, then press the button, the flame is lit; release the button, the flame goes off. 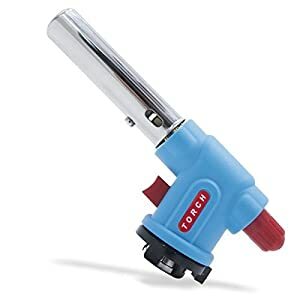 To switch on continuous fire: turn fire ignition clockwise to “CLOSE” while the flame is on; Turn the button to “OPEN”, the flame goes out. 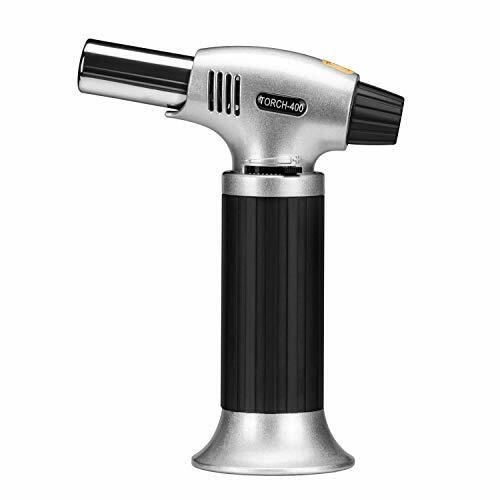 Adjustable flames: Slide the Flame control to adjust the flame levels. 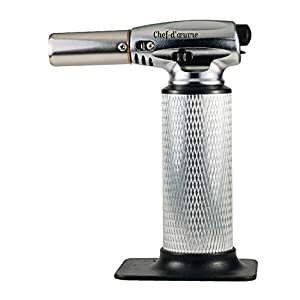 Safety & Durable Blow Torch – Security lock design prevents against accidental ignition and a wide base helps to prevent the culinary butane torch from tipping, made with Aluminum alloy body for long lasting use. 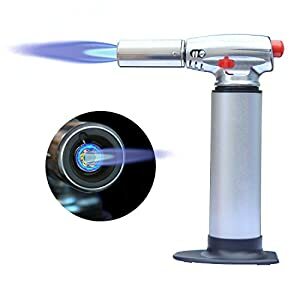 Light Up with Piezo Ignition Technology – Just press to light fire, easy to operate with the gas flow regulator and air flow control valve cooking torch, can be flame intensity controlled, Release the button, the flame goes off. 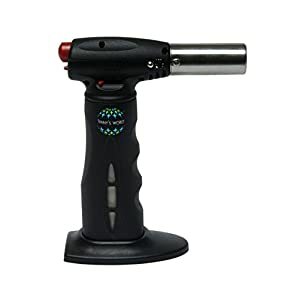 Continuous Fire Mode – Press the button to light fire, clockwise rotation at the same time, then it will keep fire, turn the button counterclockwise, the flame goes out. 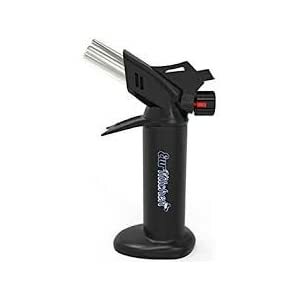 Capacity – 8-10g butane gas, BUTANE GAS NOT INCLUDED. 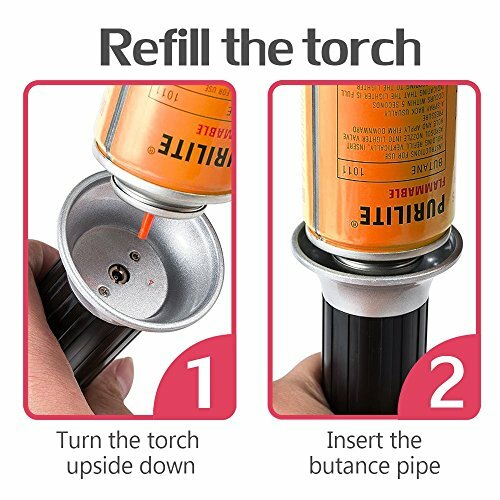 Note: Please turn the Fire Ignition toward “CLOSE” when you are not using it. 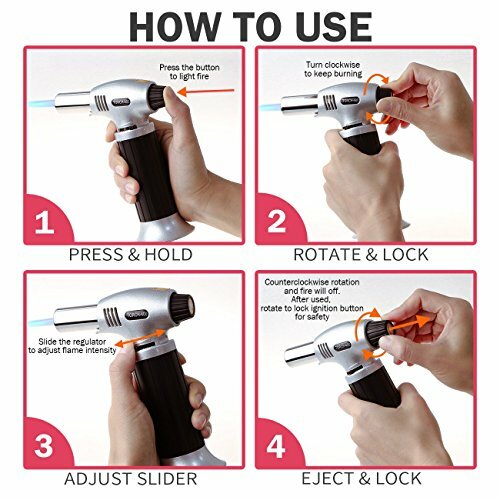 Keep out of reach of Children.LIFETIME GUARANTEE!